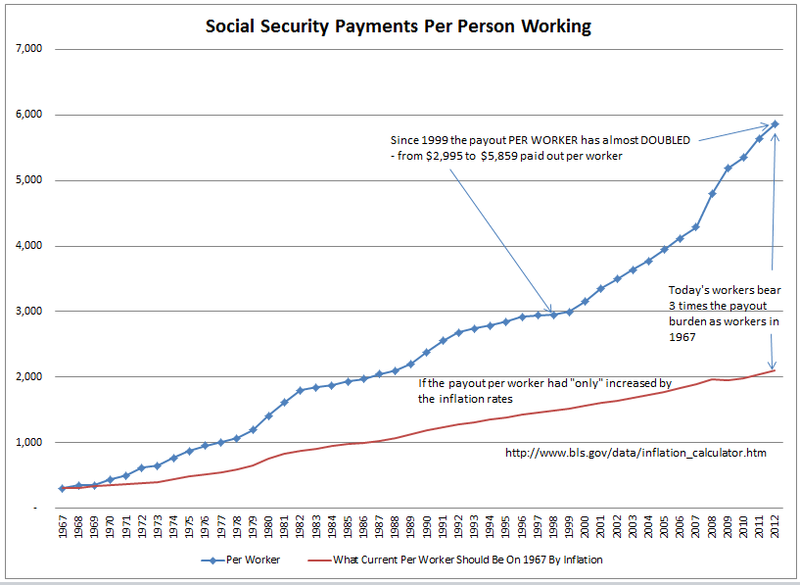 I have an update from reader Tim Wallace on Social Security. 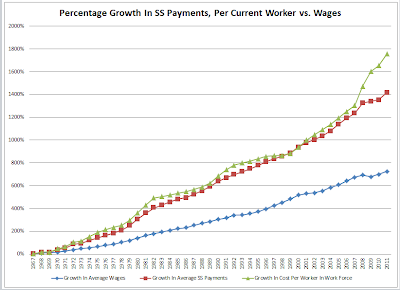 Average annual wages as presented in the Social Security systems "National Average Wage Index"
Senior citizens continue to receive all the benefits on the backs of the younger generations. By the way, I had to stop at 2011 as 2012 is not published yet. 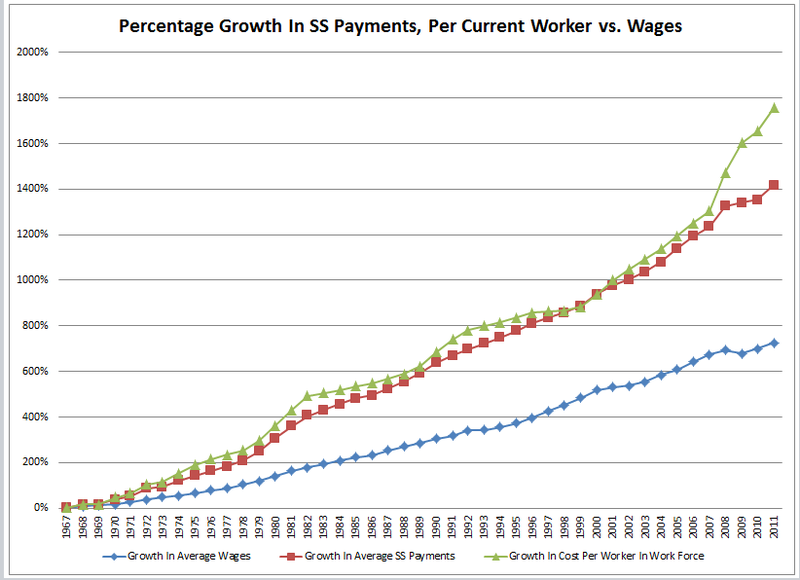 Clearly this payout trend is unsustainable, but what politician dare touch it? 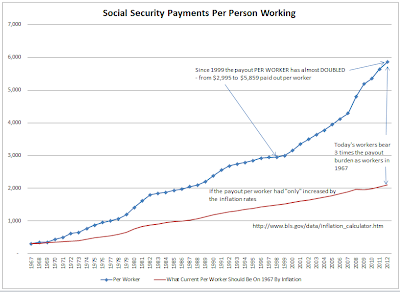 Social Security is not that difficult a problem in theory (at least in comparison to Medicare), except for the politics of it all. Numerous things could be done to put the system in the green. Democrats would oppose 1 and 3. Republicans might oppose all but 3. So, how does this mess end if politicians won't touch it?